Cincinnati Reds were the worst team in the division last season, and have not been competitive for several years. They have taken steps to get back towards contention this winter. The Reds were very active in the offseason, both on and off the field. They moved quickly to bring in former third baseman David Bell as their new manager a few weeks after the end of the 2018 regular season. Bell is thought to be more receptive to advanced metrics and will bring a more analytical approach to in-game management. The Reds addressed the need for improvements in their rotation by trading for Sonny Gray, Alex Wood and Tanner Roark. It is hoped that the hiring of Gray’s college pitching coach Derek Johnson from the Brewers will trigger an improvement in Gray, who suffered somewhat from a downturn in fortune during his stint in the Bronx. Alex Wood and Tanner Roark will feel they have something to prove, too, after being deemed surplus to requirements by the Dodgers, and the Nationals, respectively. Also, part of a bumper trade with the Dodgers, which saw Josiah Gray, Homer Bailey and Jeter Downs and cash go the other way, were Yasiel Puig, Matt Kemp and Kyle Farmer. Kemp and Puig are very much known quantities in terms of what they are capable of, Puig hitting for a .921 OPS against right-handed pitching last year, and Kemp coming off a resurgent season in which he slashed .290/.338/.481 with 21 home runs. Elsewhere free agent infielders Derek Dietrich and Jose Iglesias were brought in along with relievers Zach Duke, Matt Bowman and Ian Krol. The most notable departee was outfield speedster Billy Hamilton, who was granted free agency and landed with the Kansas City Royals. The rotation was the key area where the front office felt improvement was necessary in the offseason and to their credit they seem to have made some sensible adjustments. Castillo, Gray, DeSclafani, Wood, Roark has a good ring to it, and will be a significant upgrade on the starting rotation that shipped the most runs (508) in the National League last year. It is bizarre to describe a season in which Joey Votto led the National League in OBP as a disappointment, but against the high watermark of his expected output it is hard to see it as anything but. 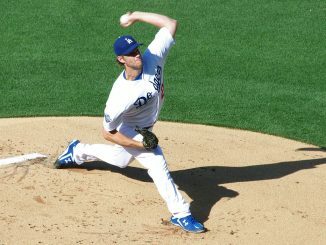 His walk rate went down, his strikeout rate went up, but most alarmingly his power dropped off a cliff. Votto’s ISO was 20 points lower than his previous career worst season, and he chipped in with just 12 home runs after averaging 31 per season over the previous three years. Now entering his age 35 season and with four years left at $25m per year on his contract, Reds fans will be nervously watching to see if he can bounce back in 2019. 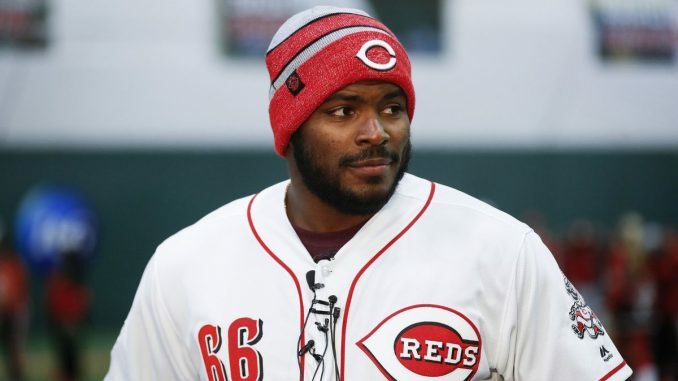 It will be interesting to see which Yasiel Puig the Reds have signed, because although he can be an outstanding contributor with the bat and on the field, there were constant rumblings of him being a disruptive influence in Los Angeles. Although Puig has the potential to bring unwanted baggage, the front office obviously feels his recruitment is a low risk, high reward strategy, given that he is only under contract for a single season. Early portents, not least his hilarious and charming social media output, point to him being motivated to succeed in a Reds uniform, and if things go well could turn out to be one of the signings of the season. The Reds look well set to improve in 2019 after some very positive dealing in the offseason. Quite what a successful season looks like is difficult to gauge, but a good starting point would be lifting themselves from the foot of the NL Central after four consecutive last place finishes. If you bear in mind that their combined record for the months of May, June and July last year was 41-37, then it is possible to see the team having a .500 season. 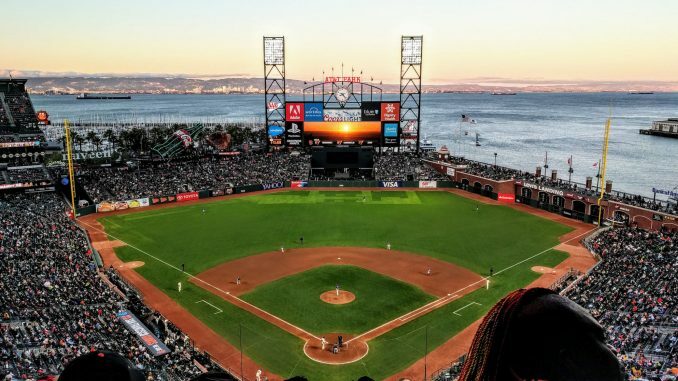 For that to happen, however, it will need the new-look rotation to hit the ground running, and for the new-look outfield to be productive and hold up defensively.